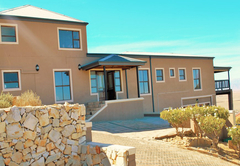 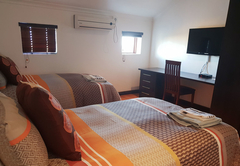 The Views Guesthouse is one of the Piketberg guest houses and provides accommodation in 6 guest rooms for tourists visiting the Swartland region. 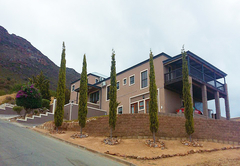 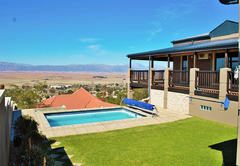 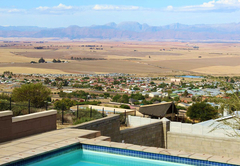 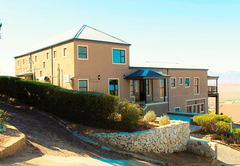 Set at the foot of the Piketberg Mountain range, The View Guest House offers luxury accommodation for the whole family. 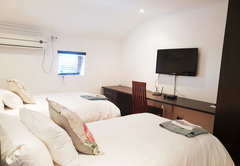 The guesthouse can accommodate up to 12 guests, making it perfect for family holidays or weekends away with a group of friends. 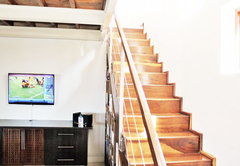 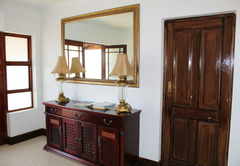 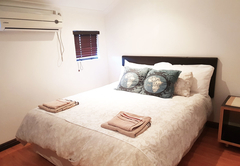 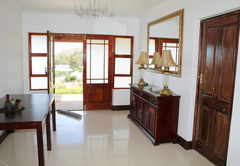 The View Guest House offers six very clean and neat bedrooms all with modern finishes. 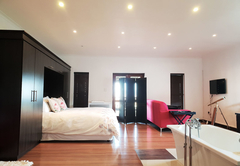 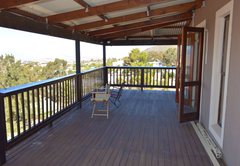 Besides the ample sleeping space, the house features a large patio / braai area and a comfortable living area that opens up onto a balcony with views as far as the eye can see. 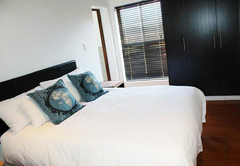 The double room has a private en-suite bathroom and is furnished with a double bed. 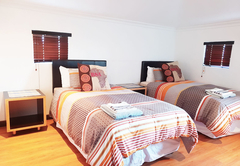 The Twin room is furnished with twin beds and makes use of a shared bathroom. 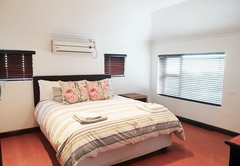 The Honeymoon Suite has a King-size bed with a private en-suite bathroom. 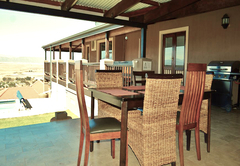 Breakfast is provided on request but must be arranged before 12h00 on the previous day. 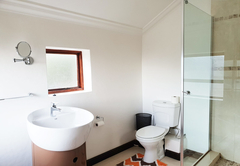 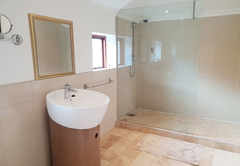 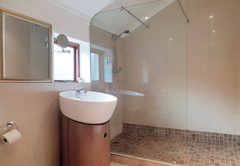 The double room has a private en-suite bathroom with double bed. 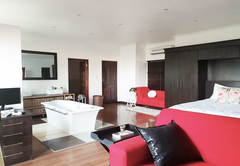 The Honeymoon suite has a King bed with a private en-suite.